Few garment features are as timeless as the classic crewneck. Commonly found on t-shirts and sweatshirts for men, women and children, the crewneck is one of the most versatile and popular neck options. They are appropriate for virtually all situations. From lazy days spent relaxing on the couch to months spent defending our country in the armed forces, these shirts are worn for all occasions. There are plenty of ways to wear and style the classic crewneck. Here are a few of our favorites. The crewneck style has been around for as long as t-shirts have been in existence. Originally worn as undergarments, t-shirts became household items after they were used by the U.S. Navy. Crewneck shirts are collarless and are designed to fit around the base of the neck and, today, they are worn both as undergarments and as regular clothing. They come in every color imaginable and they can be customized in countless ways. There are also several options for styling them. Crewneck shirts–especially t-shirts–are available in various fits. For a more casual, relaxed look, the classic fit is the way to go. It is designed to be worn loosely. 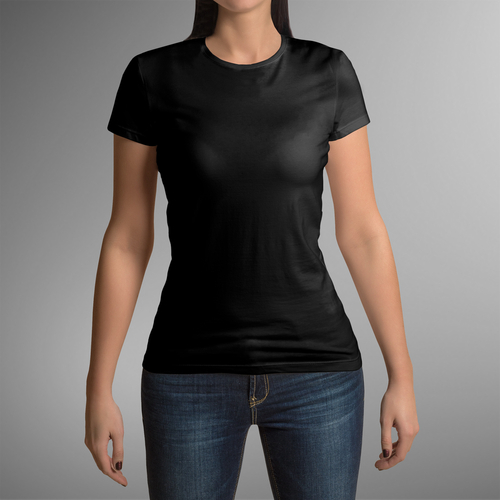 A fitted crewneck tee, however, has a slimmer silhouette. Also known as muscle fit, this style is tailored to fit closer to the chest and body without being overly tight. There are also crewneck shirts that are designed specifically for women. Those designed with a more feminine fit in mind typically have shorter, tighter sleeves and a more tailored midsection. Try your hand at creating stylish unexpected layers by wearing a crewneck sweater over your favorite button-down shirt. 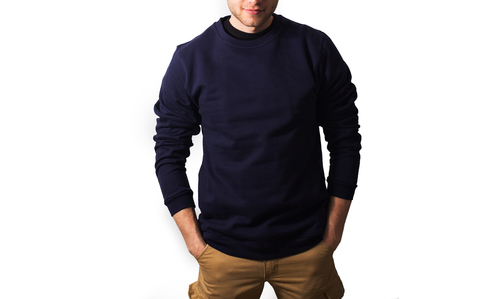 While sweaters are often worn over dress shirts, a nice crewneck sweatshirt works well, too. You will be incredibly comfortable, and you’ll look great! The right accessories can dress up any plain crewneck shirt. Add a bold belt in a contrasting color for an eye-popping look or dress it up with a scarf. Wear chunky jewelry that will stand out and elevate your entire look. Crewneck t-shirts were originally designed as undershirts, and they still work well for this purpose today. Wear one under a button-down shirt or sweater that has a sweat-absorbing base layer or to give yourself a bit of extra warmth on a chilly day. 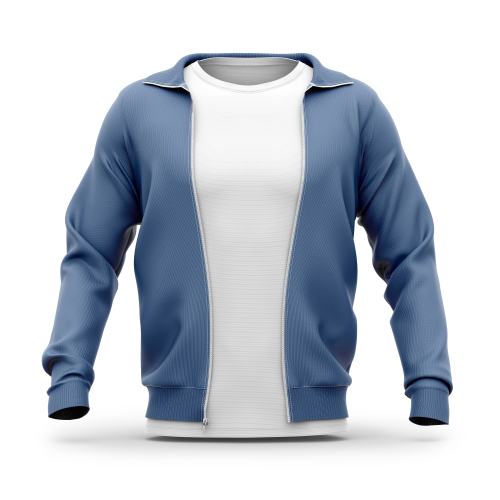 A crewneck tee in a complementary color can also be worn under a jacket or a shirt that is worn unbuttoned. There is really no wrong way to wear a crewneck shirt as an undershirt. You can get away with wearing a simple crewneck t-shirt or sweatshirt to work in many offices–as long as you match it with the right bottoms. A well-fitting tailored t-shirt or sweatshirt paired with dress pants and a nice pair of shoes is an office-appropriate outfit that is as comfortable as it is stylish. If you have a plain crewneck shirt, there are countless ways to transform it into a garment that is reflective of your personal taste and personality. Get some dye and create your own tie-dye creation or embroider designs around the neck or hemline. By using fabric paints or markers, you can turn your shirts into works of art. Print iron-on transfers, learn how to screen print or use a vinyl cutter to create amazing designs that are only limited by your imagination. There are also countless ways to repurpose crewneck shirts to make brand-new apparel items. With basic sewing skills, you can turn a plain shirt into a skirt, a dress and more. The possibilities are, quite literally, endless. Crewneck sweatshirts and t-shirts can be found in nearly everyone’s closet or dresser drawers. They are timeless, versatile and can be worn for just about everything. They have been around for more than 100 years and have become wardrobe staples. No matter how you wear your crewneck shirts, we have ones that will meet your needs. The Adair Group offers a wide range of crewneck shirts and we sell in bulk to save you money. Why pay retail prices when you can get the products you need at a fraction of the price? Check out our selection today!